Liz Jenkins is the Office Manager for Progress. Previously, she was an administrator for the firm Goldberg, Lowenstein & Weatherwax. Prior to her administrative career she worked as a freelance personal assistant. 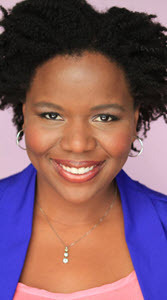 In addition to keeping Progress running smoothly, Ms. Jenkins is a professional actress based in Los Angeles.